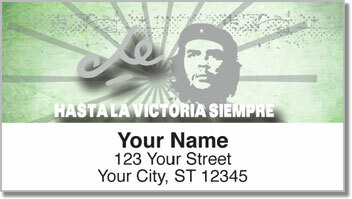 There's no doubt that Ernesto "Che" Guevara is a controversial figure in modern history. But that controversy is part of what's made him an icon. Regardless of your political views, you can't deny that the intentions of this revolutionary were pure. He wanted to make the world a better place, not for his own gain, but for the people who needed a voice. He is a symbol for anyone who ever questioned authority. 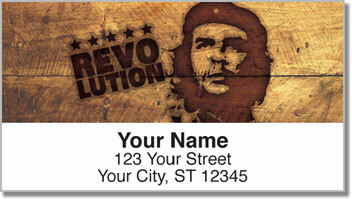 These unique labels were created from his famous portrait. 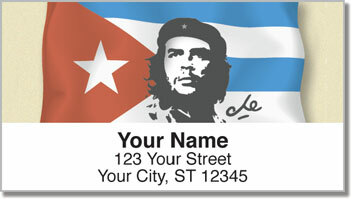 You'll be making a bold statement on each piece of mail you send. Plus, a self-adhesive backing makes them a convenient way to finish a routine task. Just peel and place. 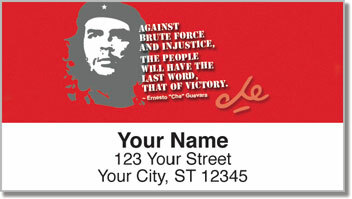 Get your very own Che Guevara Address Labels today! Order them with matching checks and get free shipping too.